The Sea Foam Motel is located Oceanfront in the beautiful and historic Outer Banks, where legendary beaches of shmmering sand and blue-green waters are the backdrops for sun-kissed, leisure-filled days. Watch the sin rise over the Atlantic Ocean and set over the Roanoke Sound. Convenient to Dining, Shopping, Historical sites as well as many fun activities! 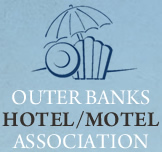 © 2013 Outer Banks Hotel Motel Association . All rights reserved.